Come one, come all! Give your supporters advance notice for your next Red Ribbon event. 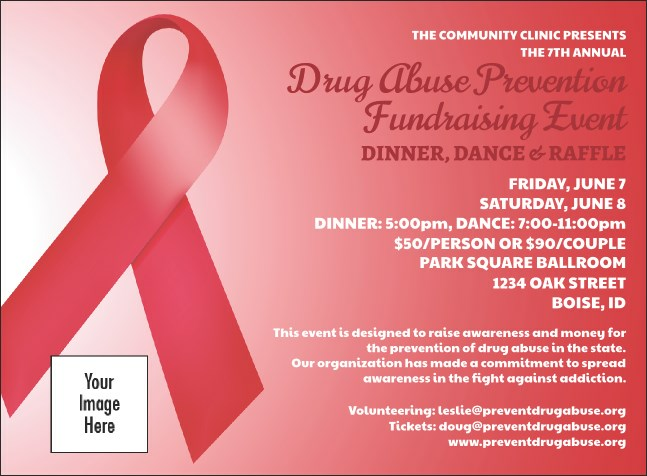 This invitation, with lots of space for all your details, matches our Red Ribbon Event Kit, appropriate for anti-drug campaigns and AIDS awareness activities. Show them you care with invitations for all occasions from TicketPrinting.com.